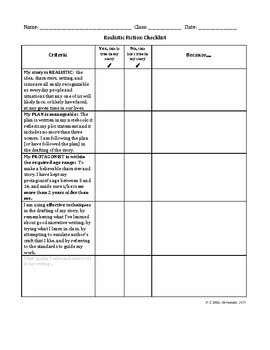 This checklist will train students to read their drafts with a discerning eye, as well as to explain their self-assessment with text evidence (see the "because" column). It also encourages them to create personal goals for their writing (see the "other" row). They can receive this tool at the start of their writing process and use it after each draft and revision to ensure that their writing stays grounded in the qualities being taught and assessed by you, the teacher.